No matter how you look at it, Agile marketing is a very powerful force. Its positive impact is felt from the most recently hired individual contributors who are just trying to be better at their jobs, all the way up to the C -suite executives who are just trying to get a handle on what marketing should look like in the twenty-first century. Its benefits extend to other departments as well. Salespeople enjoy a better relationship with their marketing colleagues (and get more useful marketing programs), and HR can hire more easily and keep marketers around longer. Customers, whether they know it or not, are also less likely to be annoyed by marketing campaigns produced by an Agile team. The one-two punch of higher quality and customer centricity make the output of Agile marketing teams truly enjoyable. But despite all of that positive potential, there’s one thing Agile marketing cannot do. Agile marketing cannot turn crappy marketers into great ones. This point, while seemingly obvious, is an important one for fledgling Agile marketing teams and departments to understand. It’s related to similar assumptions that Agile will solve any and all marketing problems (again, sadly not true). Let me explain. Whether you’re using Agile processes, or the most rigid and traditional waterfall structure in the world, your marketing will not work if it’s outdated and out of sync. Customer focused: Yammering on about features and benefits won’t cut it anymore. Great marketing is focused on solving problems for our customers. In the face of an internet full of helpful and entertaining stuff, why should they care about anything else? Data enabled: Gut feelings and brilliant brainstorms are nice, but at the end of the day we need to know — and I mean really know — what’s working and what’s not. For that, we need data. And for data, we need some kind of analytics tools that will track the behavior of customers and prospects throughout their buying journey and across all available channels. That data needs to be reliable, or we revert to liquor and guessing (which may be fun, but aren’t likely to keep us employed). Content driven: Effective content marketing is the foundation on which all successful marketing is built. You need outstanding content creation abilities to stay in touch with your customers and prospects. This should not be up for debate at this point. Persona powered: You don’t need to spend months and months crafting perfect personas, nor do you need a pristine customer journey map. But you need at least an idea of both those pieces in order to create content that solves real problems for your real customers. Choosy about channels: Your customers/audience aren’t on every channel in the world, so you don’t need to be either. Choose your areas of focus carefully, and understand that means you won’t be everywhere. We must break free of shiny object syndrome. Strategically centered: Tactical execution cannot happen without a clear, effectively communicated strategy. Create a strategy, share it with your entire department, and use it as your North star. Make it flexible enough to adapt to incoming data, but stable enough to guide daily work. You can’t veer wildly from one strategy to the next every other week and expect people to devote their best efforts to work that could be abandoned at any moment. I’m sure I’ve overlooked a couple of things here (that’s what blog comments are for, after all). But the point is that you need to follow these marketing best practices whether you choose Agile marketing or not. Without them, Agile will just allow you to spin your hamster wheel faster. I feel the need to include this second point, because I’ve recently had multiple people request a level of detail inside Agile marketing case studies that I find disconcerting. These Agile enthusiasts want to know the exact composition of the Agile marketing campaigns that have delivered such outstanding results. How many emails did they send? What social media channels did they use? What did the content publication schedule look like? While that might be interesting to read about, a demand for that level of detail before they’ll consider trying Agile misses the point of case studies entirely. We need marketing departments who can think for themselves. Who will believe that Agile values are worthwhile, and who will follow that belief by taking Agile processes and adapting them to their own unique contexts. Hyper-detailed case studies, on the other hand, make it far too easy for us to become paint-by-numbers teams. 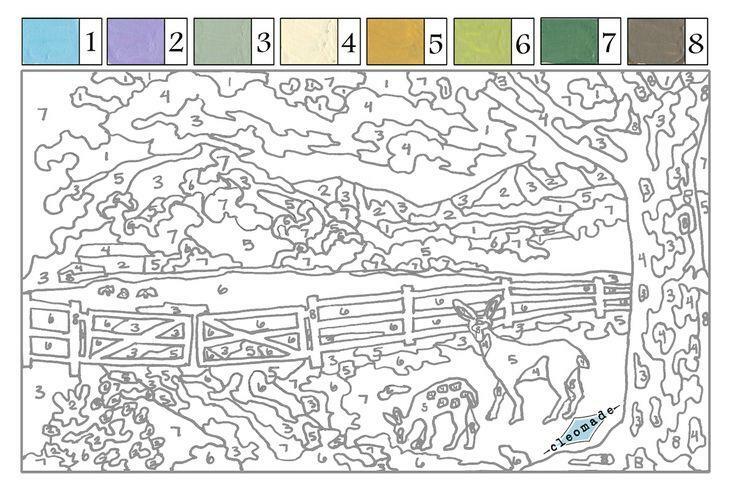 Your remember those paint-by-numbers things? Where they put numbers in different spaces on a painting and you just followed along? Sometimes they turn out nice, but a lot of times you end up smearing big sections, or having colors run together, because you didn’t know which part/colors to do first. And even if you execute them perfectly, you learn nothing. You didn’t try out different colors, or experiment with your own layout, or create a laughably terrible composition that you’ll know better than to ever use again. Agile marketing case studies (and all kinds of case studies, for that matter) are not designed to be paint-by-numbers guides. They are there to give us hope, to provide proof that these processes really do work inside marketing teams, and to offer up directional data to support arguments for change. Case studies are not there to tell us how to do our jobs. They don’t know how to market our particular product to our particular audience. They don’t know specific what Agile adaptations we’ll need to make to produce an effective framework for our team(s). So don’t try paint-by-numbers Agile marketing. It’s not going to be a pretty picture. Agile marketing has done (and continues to do) amazing things with teams of all shapes and sizes. Faster campaign releases, higher quality work, more engaged marketers — all these and more are there for the taking if teams are willing to put in the work. But without a solid marketing function built on modern best practices, Agile marketing is likely to just make failure faster and more enjoyable. Likewise, if teams succumb to the temptation to blindly follow case studies and examples, their innovation muscles won’t develop, and they’ll stagnate in the earliest stages of Agile adoption. Instead, carefully review the health of your marketing overall, and make changes before you consider an Agile adoption. And, once Agile is on the horizon, don’t fixate on finding a step-by-step manual. Get educated, think critically, and craft your own version of Agile marketing. The post Agile Won’t Fix Broken Marketing appeared first on AgileSherpas.